First Impressions of Horses or Humans, Can We Trust Them? How often though are first impressions actually wrong? When I look back at my interactions with humans I can say usually my first impression has been mostly correct. I can also honestly say each pet I’ve had the pleasure to own drew me at first sight. 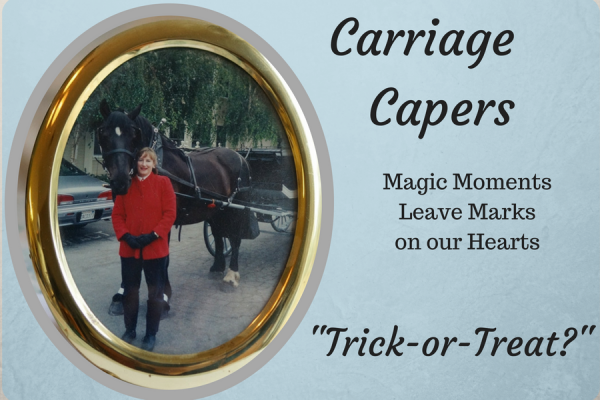 However, here’s a story from Sharon Jantzen’s Carriage driving days where her first impression was drastically wrong, and it made a profound impression. I’ve also been told, by fellow horse owners, that keeping my mare in a stall is nothing short of cruelty. When is it time to mind our own business and when is it time to take a stand? 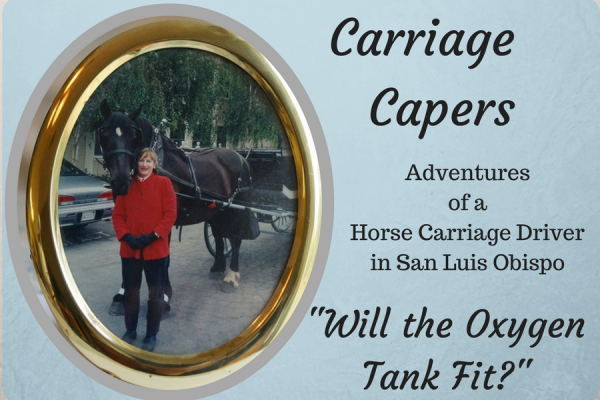 Sharon Jantzen gives us a little insight into one of her own experiences in and excerpt from one of her “Carriage Capers”, where she came across a very vocal and volatile activist in San Luis Obispo. A horse drawn carriage is the perfect fit for a marriage proposal – or a wedding. 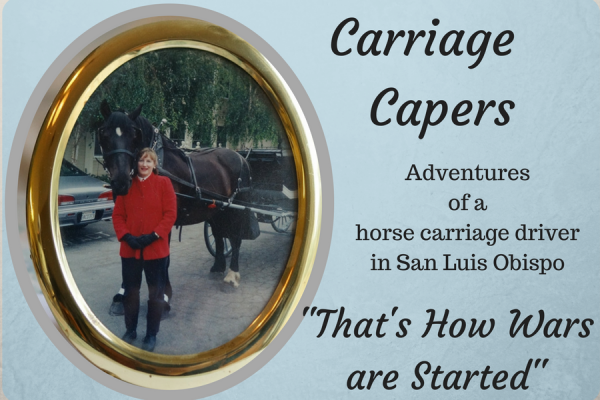 As a carriage driver in San Luis Obispo, I was part of many romantic horse-involved beginnings. Sharon Jantzen shares two stories of marriage proposals using a horse. Horse herd mentality plays a key role in how our reactions influence our horse’s reactions. If we remain calm, our horse will calm down easier and quicker. Horses naturally follow the leader, whether human or horse. Sharon Jantzen shares her story “Whoa Nellie” – a little story of a time where thinking like a head mare in an emergency saved a situation.